An award-winning author, speaker, wine consultant, television host, and founder of the new multi-media company, Thirsty Girl, Leslie Sbrocco's entertaining approach makes exploring wine, travel, and food fun. Sbrocco's first book, Wine for Women: A Guide to Buying, Pairing and Sharing Wine (William Morrow), has been excerpted by two national magazines — Redbook and Family Circle — and won the coveted Georges Duboeuf Best Wine Book of the Year award. Her second book, The Simple & Savvy Wine Guide, (William Morrow) was released to wide acclaim and she is currently at work on her third book, Adventures of a Thirsty Girl. As Tasting Notes columnist for Epicurious.com, and contributor to numerous online and print publications, Sbrocco's monthly musings are enjoyed by thousands. Her work has been published in outlets such as O, the Oprah magazine, Coastal Living, Woman’s Day, Good Housekeeping, Glamour, and Santé. Prior to completing Wine for Women, Leslie was a columnist for The New York Times online and Cooking with the Times and General Manager/Co-founder of WineToday.com, the wine site of The New York Times Company. Whether appearing on television as the wine expert for the cooking show Seasonings, cable television's On the Vine series, CBS's Evening Magazine, or in regular appearances on the Today Show, Sbrocco's humor and passion resonates with viewers. Leslie’s current television project is as host of the PBS series Check, Please! Bay Area for which she has won both the coveted James Beard award and three Emmy awards. Sbrocco is also a featured judge on the PBS national series, The Winemakers. A sought-after speaker, Leslie has spoken at events ranging from O magazine's "Hi Gorgeous" tour to the American Dietetic Association national convention. 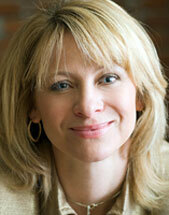 She has been the keynote speaker at numerous wine events including the Boston Wine Expo, SF Food.Wine. Chefs, Pinot Noir New Zealand, and the Washington D.C. International Wine and Food show. Her corporate clients have included RedPrairie, Cisco Systems, Optos, Ketchum, Southern Wine and Spirits, Target, Jackson-Lewis, Vineyard Bank, and Fleishman-Hillard. Leslie has consulted for companies such as Harry & David, the Kimpton Hotel Group and Virgin America Airlines. She has also been a wine educator for Crystal Cruises and Holland America Cruise Lines. Sbrocco is a respected judge at a number of the largest wine competitions both domestically and globally including the Concours Mondial and San Francisco and Los Angeles International Wine and Spirits Competitions.